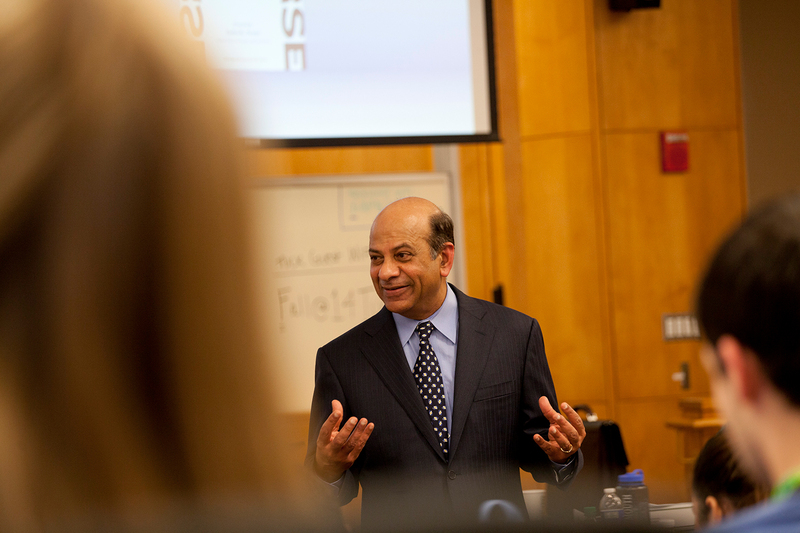 Vijay Govindarajan (VG) is widely regarded as one of the world’s leading experts on strategy and innovation. VG is the Coxe Distinguished Professor (a Dartmouth-wide faculty chair) at Tuck School of Business at Dartmouth College and a former Marvin Bower Fellow at Harvard Business School. He was the first Professor in Residence and Chief Innovation Consultant at General Electric. He worked with GE’s CEO Jeff Immelt to write, “How GE is Disrupting Itself”, the Harvard Business Review (HBR) article that pioneered the concept of reverse innovation – any innovation that is adopted first in the developing world. HBR picked reverse innovation as one of the Great Moments in Management in the Last Century. VG is a NYT and WSJ Best Selling author and a two-time winner of the prestigious McKinsey Award for the best article published in HBR. VG was named by Thinkers 50 as a Top 3 Management Thinker in the world and received the Breakthrough Innovation Award in 2011.